Whether you’ve just recently built a new site, or you are in charge of maintaining an existing one, it’s critical to leverage the most you can out that site on an ongoing basis. As the internet grows and audience needs change, your site needs to be maintained and adapted over time. Sites can also be expensive to upgrade if not properly cared for (think of not performing regular maintenance on your car for several years until finally it breaks in an expensive way). And yet, most organizations don’t have the money to redo a site more than once every three or four years. Sometimes they often don’t have the money to hire someone inhouse to maintain the site beyond content updates. Who takes care of your security updates, or changes to modules and plugins so that your site doesn’t break? That’s where quality website support and maintenance comes in. A good support agency can make your site last a long time past its creation date and keep it fresh until it’s time for the next rebuild and redesign. Make sure they have a dedicated support team or department. Don’t go with an agency that simply pulls people off of regular design or development build projects to do support tickets on the side. Your site won’t get the same attention or care, since they consider support more of a side gig rather than an important part of their business model. Make sure the agency has a dedicated team that is committed to and organized around supporting sites. Ask if you can talk to a human if needed. All agencies use (or should use) a ticketing system in order to track support requests. Ticketing systems allow for transparency, accountability, and clarity on what is being addressed and when. While these systems are tremendous for tracking the progress of an issue as it gets fixed, using them exclusively can be frustrating if something is hard to explain via text. Ask the agency if you’re allowed to hop on a call with one of their support staff, or the Project Manager, for advice and guidance. Often you can save time and increase clarity to simply have a conversation with a human. Plus it’s nice to establish a relationship with the person in charge of keeping your site running smoothly. Check that there’s a diverse range of talent within the team. Most developers can do module, plug in and security updates. But can they do any front-end work? What if the theme breaks, or you need a new page design? You might need more than code updates. Go for a more diverse and creative team that has experience with feature development as well as creative enhancements to cover all the range of items you might need. Determine how important it is if they work in your time zone. Talented designers and developers are all over the globe, but it can be tough to get fast responses from people in time zones very far off from yours. What happens if you need something right away, but it’s the middle of the night for them? If you’re in Hawaii, for example, you may not want to have an east coast agency handle your support. Ask the agency what their hours are, and try to get serviced in as close to your time zone as possible. Following these tips will help give you confidence that you are asking the right questions and finding the right support services to fit your organization. If you’re interested in learning more about Kanopi’s support offerings, contact us. We have dedicated support teams for both Drupal and WordPress, with a diverse staff who can cover anything you need. We also do it very well. Our hours are 9:00 am to 5:00 pm your local time in North America . . . and that counts for Hawaii! The post Top 5 Things to Look For in a Website Support Agency appeared first on Kanopi Studios. It is good to keep abreast of available open source 'contrib' Drupal modules. 'There's a module for that', applies to many use cases within Drupal; it's a sin to build something that already exists. In this post, I take a look at some of the best Drupal 8 SEO modules that can get anyone started with Drupal and its SEO. “But I don’t want to think about Drupal 9 yet!” Adulting sometimes means doing things we don’t want to do, like thinking about CMS version upgrades. We can help. For now, here’s what you need to know about Drupal 9. 1. Drupal 9 is targeted for a June 2020 release. Eighteen months following the release of Drupal 9, in November of 2021, Drupal 7 and 8 will both hit EOL status. This means that you will have a little more than a year to move your site from Drupal 7 or 8, following the June 2020 release date of Drupal 9. This is Part 2 of a three part series about choices you can make with the news of Drupal 9’s release. Part 1 is an overview. Part 2 is what to do if you choose to stay on Drupal 7. 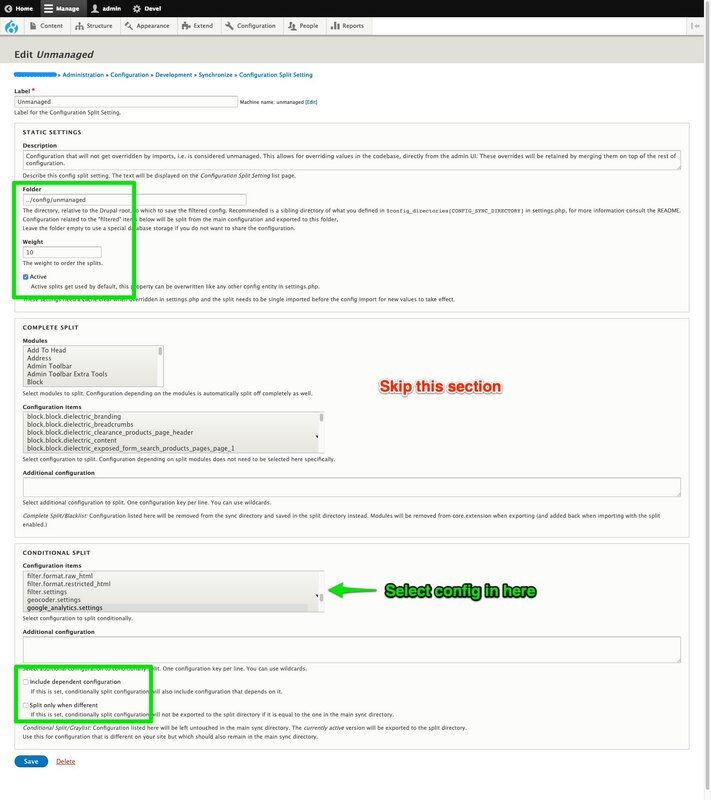 Part 3 is what to do it you choose to upgrade to Drupal 8. If you’re following along in our series about the release of Drupal 9, you understand that there are options for upgrading, each with its pros and cons. At Kanopi, we know it’s not a one size fits all decision. We want to provide you with as much information as possible to help you decide what’s right for your site. To recap, we shared an overview of all the options in part one, and a deep dive for our clients who plan to stick with Drupal 7 in part two. Here in part three, we share a bit of wisdom for those who are considering moving to Drupal 8. At Kanopi we support more than 100 Drupal 7 sites. Many of them are well optimized and built to last, which can make it difficult to pull the trigger on a rebuild. We don’t have the capacity. The site looks and works perfectly fine. Below, I’ll dig a bit deeper into each of these objections. Build the business case. A business case compares the challenges of sticking with your current site with the new opportunity and ROI that could be gained by making a change. To get started, we recommend a site audit and creative strategy session to help identify what’s not working and what might be needed to get back on target. You should also take a look at your organic search performance (SEO), accessibility, speed, and overall usability. All of these factors can reveal where your site may be missing the mark and help to justify an upgrade. When building your case, make sure that you think through the total cost of ownership for your site so that you can reserve enough budget to get the work done right. For example, if you spent $25,000 on your website in 2013, then made incremental updates over the last five years at $10,000 per year, the cost of your site is $75,000. If you want to preserve all features in your rebuild, you should ask for at least $75,000. While you’re at it, it’s a good idea to ask for 25 percent more than the amount it would take to preserve existing features. The redesign process will inevitably generate new ideas and site improvements that will require additional budget to implement. In this example, we would recommend asking for $100,000 and justifying the cost with a breakdown that takes your total cost of ownership into account. Here’s another example: if you built your Drupal 7 site in house and worked on it for 24 months using a resource who makes $75,000 per year, the site cost your organization $75,000. Knowing this can help you build a rationale that hiring an agency to build your Drupal 8 site at $75-100,000 within six months is a great deal since the work will have similar costs and take far less time to complete. Demonstrating where and how a new website could show direct ROI can make all the difference when convincing stakeholders to approve the budget for an updated site. Consider the costs of doing nothing. It’s also helpful to think bigger than the cost of an upgrade and consider the costs of not improving your website. Lost customers, damaged reputation and missed opportunities can be hard to quantify, but should be considered. For example, if your website’s contact form currently gets completed an average of 10 times a month and 10 percent of those who complete the form convert to a sale, that means each deal is worth $10,000. What if, through a smart redesign and upgrade, you were able to increase form completions to 15 per month and add content and features that support the sales team, resulting in 20 percent sales conversions? As you can see, there are many ways to frame your case to support budget requests. Use the approach that will work best to help your stakeholders understand the value of your website project and it’s potential to make a meaningful impact on your organization’s bottom line. Once they see the value, the budget will come much more easily. Today’s working world moves at lightning speed. Most of us end up doing far more than what’s included in our job descriptions, and those full plates can make a website rebuild feel impossible to tackle. If your stakeholders are concerned about your team’s capacity to handle a rebuild, talk to them about approaching the work in smaller phases. Many of our clients tackle rebuilds one phase at a time, often signing on for smaller, more digestible bites that make up a larger endeavor. This can help make the process feel more approachable and easier for stakeholders to wrap their heads around. Try getting started with a bit of user research. Then tackle design. You can continue from there in small steps until the work is complete. Alternatively, this is where an agency like Kanopi Studios comes in. Rebuilding your site on Drupal 8 or WordPress is a lot of work, but an experienced agency can take much of that work off your plate by making the process as smooth and straightforward as possible and keeping the project’s momentum at full swing. That keeps your team concentrating on their day to day work while the rebuild happens simultaneously. The most common objection we hear from our clients is that their stakeholders don’t see a need to change or understand the point of doing things differently through a rebuild. Maybe you already have a beautiful website that is driving strong results. If so, that’s wonderful! However, as time goes on, you’ll find you need to mix things up a bit to keep up with the pace of change and stay competitive. Trends shift, customer behavior changes, and Google likes to keep us guessing with their algorithm updates. Change is constant in all things, and even more so online. Most websites have room for improvement, even if they are doing well. To ensure your site stays current, keeping your CMS up to date should be part of your roadmap. If you’re planning to make any updates this year, consider upgrading to Drupal 8 as part of your solution. Remember, the safety zone may feel warm and comforting, but it will never give you the insight and growth that exploring the unknown can provide. Who knows what wonderful things could be in your future? We can help you strategize and build your case for an upgrade to Drupal 8, 9, or even WordPress. When in doubt, get in touch! We can work out the best approach together. The post Drupal 9 is Coming, Part 3: Making the switch to Drupal 8 appeared first on Kanopi Studios. Drupal has a great reputation as a CMS with excellent security standards and a 30+ member security team to back it up. For some Drupal sites, we must do more than just keep up-to-date with each and every security release. A Drupal site with private and confidential data brings with it some unique risks. Not only do you want to keep your site accessible to you and the site’s users, but you also cannot afford to have private data stolen. This article provides a checklist to ensure the sensitive data on your site is secure. Last summer I published a blog post about my vacation in Acadia National Park. Included in that post are 13 photos with a combined size of about 4 MB. When I benchmarked that post with https://webpagetest.org, it showed that it took 7.275 seconds (blue vertical line) to render the page. The graph shows that the browser downloaded all 13 images to render the page. Why would a browser download all images if most of them are below the fold and not shown until a user starts scrolling? It makes very little sense. "Lazy loading" images is one solution to this problem. Lazy loading means that the images aren't loaded until the user scrolls and the images come into the browser's viewport. You visit a page as you normally would, scrolling through the content. Instead of the actual image, you see a blurry placeholder image. Then, the placeholder image gets swapped out with the final image as quickly as possible. Automatically generate lightweight yet useful placeholder images. Embed the placeholder images directly in the HTML to speed up performance. Replace the placeholder images with the real images when they become visible. To generate lightweight placeholder images, I implemented a technique used by Facebook: create a tiny image that is a downscaled version of the original image, strip out the image's metadata to optimize its size, and let the browser scale the image back up. -resize 5x resizes the image to be 5 pixels wide while maintaining its aspect ratio. -strip removes all comments and redundant headers in the image. This helps make the image's file size as small as possible. The resulting placeholder images are tiny — often shy of 400 bytes. The original image that we need to generate a placeholder for. The generated placeholder, scaled up by a browser from a tiny image that is 5 pixels wide. The size of this placeholder image is only 395 bytes. Even though the placeholder image should only be shown for a fraction of a second, making them relevant is a nice touch as they suggest what is coming. It's also an important touch, as users are very impatient with load times on the web. Data URLs are composed of four parts: the data: prefix, a media type indicating the type of data (image/jpg), an optional base64 token to indicate that the data is base64 encoded, and the base64 encoded image data itself. What is the advantage of embedding a base64 encoded image using a data URL? It eliminates HTTP requests as the browser doesn't have to set up new HTTP connections to download the images. Fewer HTTP requests usually means faster page load times. The src attribute, which references the placeholder image that will appear when the page first loads. Instead of linking to placeholder.jpg I embed the image data using the data URL technique explained above. The data-src attribute, which contains the URL to the original image that will replace the placeholder when it comes in focus. By default, the IntersectionObserver's callback is triggered the moment a single pixel of the image enters the browser's viewport. However, using the rootMargin property, you can trigger the image swap before the image enters the viewport. This reduces or eliminates the visual or perceived lag time when swapping a placeholder image for the actual image. The document is complete after 0.35 seconds (blue vertical line) instead of the original 7.275 seconds. No images are loaded before the document is complete, compared to 13 images being loaded before. Lazy loading images improves web page performance by reducing the number of HTTP requests, and consequently reduces the amount of data that needs to be downloaded to render the initial page. Is base64 encoding images bad for SEO? Faster sites have a SEO advantage as page speed is a ranking factor for search engines. But, lazy loading might also be bad for SEO, as search engines have to be able to discover the original images. To find out, I headed to Google Search Console. Google Search Console has a "URL inspection" feature that allows you to look at a webpage through the eyes of Googlebot. I tested it out with my Acadia National Park blog post. As you can see in the screenshot, the first photo in the blog post was not loaded. Googlebot doesn't seem to support data URLs for images. Is IntersectionObserver bad for SEO? I'm not sure how long it takes for Google to make new posts and images available in its index, but I'll keep an eye out for it. Lazy loading images improves web page performance by reducing the number of HTTP requests to render a page. I hope that by sharing my experience, more people are encouraged to run their own sites and to optimize their sites' performance. Drupal Commerce is a fantastic open source ecommerce platform, but there is a common misconception that it is lacking when it comes to performance and scalability. This is not true! Drupal Commerce is extremely fast and is more than capable of scaling from small business all the way to enterprise level ecommerce. We have proof and it’s right here for you to view. Shawn McCabe, Acro Media’s CTO, put Drupal Commerce to the test to see how it performed on a number of different AWS configurations, ranging from single server setups all the way up to multi-server configurations. He ran simulated traffic through Drupal Commerce, mimicking actual traffic as close as possible, testing concurrent users, site speed, transactions per second, and a number of other useful technical metrics. The smallest server configuration tested was capable of handling 130 concurrent users flawlessly, with a throughput of 13.59 transactions per second. On the other hand, the largest configuration could handle 52,000 concurrent users with a throughput of 1,305.85 transactions per second. The report goes further and includes how the tests were set up, their limitations and methodology, all of the server configurations details and, of course, the test results. This testing puts the performance and scalability question to rest, backed by hard data that anyone can reproduce. Drupal Commerce is a viable option for ecommerce that businesses of any size can use and grow with in the future. There will be a security release of 8.5.x and 8.6.x on February 20th 2019 between 1PM to 5PM America/New York (1800 to 2200 UTC). (To see this in your local timezone, refer to the Drupal Core Calendar) . The risk on this is currently rated at 20/25 (Highly critical) AC:None/A:None/CI:All/II:All/E:Theoretical/TD:Uncommon. Not all configurations are affected. Reserve time on February 20 during the release window to determine whether your sites are affected and in need of an immediate update. Mitigation information will be included in the advisory. Contributed module security updates may also be required. If you are running Drupal 7, no core update is required, but you may need to update contributed modules if you are using an affected module. We are unable to provide the list of those modules at this time. Neither the Security Team nor any other party is able to release any more information about this vulnerability until the announcement is made. The announcement will be made public at https://www.drupal.org/security, over Twitter, and in email for those who have subscribed to our email list. To subscribe to the email list: log in on Drupal.org, go to your user profile page and subscribe to the security newsletter on the Edit » My newsletters tab. Security release announcements will appear on the Drupal.org security advisory page. Websites will run into problems. Whether you're using Drupal or any other software, there will be problems at some point. Drupal runs on PHP and when PHP has problems, it reports them to you.